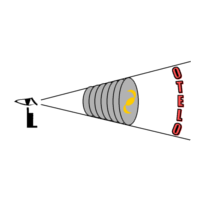 OTELO Simulator: It is a dummy simulator with poduces an OTELO pseudo spectra from a template file. It is ussefull to take a taste about how OTELO pseudo spectra would looks like in ideal conditions. Important caveant: it uses a simple response curve for each TF, and it does not take into account variations of the response of the system (distance to the FOV center and dirthering). See OTELO pseudo spectra page for more details. Spectral Line summary: It is a collection of representative emission and absorption lines than would be found in OTELO pseudo spectra. Althougth the lines list is not complete, it take into consideration most of relevant spectral lines used/observed in different astrophysical systems. Thumbnails: Quick visualization of OTELO pseudo-spectra (only released data and some examples). Analysis Tool: Visualization tool of OTELO data (only released data and some examples).